New York, 1917. 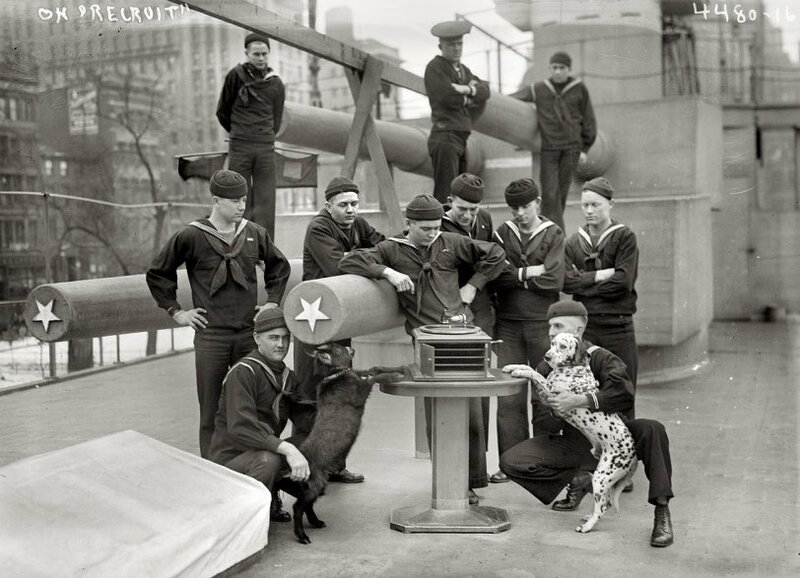 Another shot of the sailors and mascots aboard the U.S.S. Recruit, a mock battleship moored in Union Square as a Naval recruiting station. View full size. 5x7 glass negative, George Grantham Bain Collection.